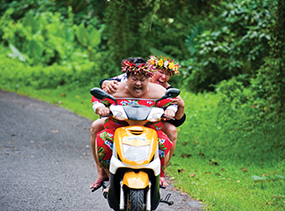 Advertised price valid for travel 1 April - 31 Oct 19 subject to availability and black out dates may apply within this date range. The Pathumwan Princess Hotel is one of Bangkok's leading 4 star hotels recently having completed major renovations the Hotel is looking better then ever. 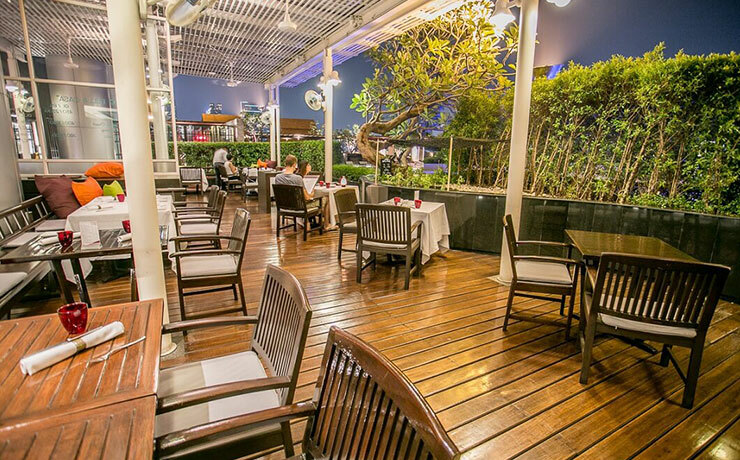 Surrounded by some of Bangkok's best retail and entertainment facilities, you really are spoilt for choice. We have a commitment to health and the environment, and as such all guest rooms are non-smoking. The hotel has 462 rooms in a 29-storey building with views of the surrounding areas. A mere 30 - 40 minute drive from Bangkok's international airport. 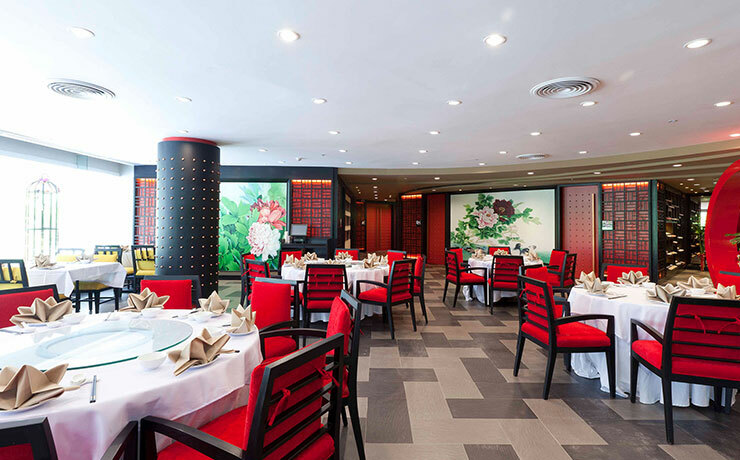 Situated adjacent to the MBK Centre, home to some of the trendiest international brand names, the Pathumwan Princess Hotel thrives in the heart of one of Asia's most dynamic metropolises. Oppersite Siam Square, the entire area pulsates with energy and creativity. 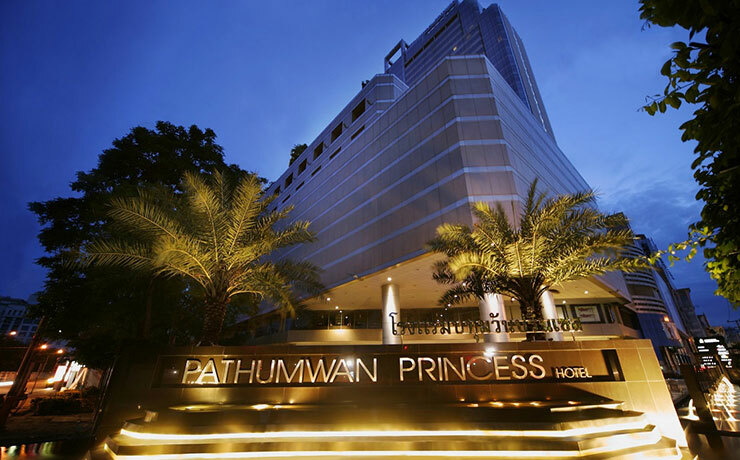 The Pathumwan Princess Hotel is also close to the historical Chulalongkorn University, Siam Paragon, Skytrain Station, short stop to Gaysorn Plaza and everyone's favourite department store at Central Chidlom. The Olympic Club is located on the 8th floor and set on a sprawling 9,000 square metres area, and is already known as one of the best clubs in town, equipped with the latest Cybex exercise machines. The Olympic Club also has two well-lit and international standard tennis courts, two indoor squash courts with adjustable room temperatures, badminton court, basketball, table tennis and a 1-kilometre jogging track! These are complimentary to in-house guests. After an intense sweat-inducing session, perhaps you may want to go for a few relaxing laps? Dive in! The hotel's pool is Bangkok?s only salt chlorinated pool. It's gentle on the skin and eyes. 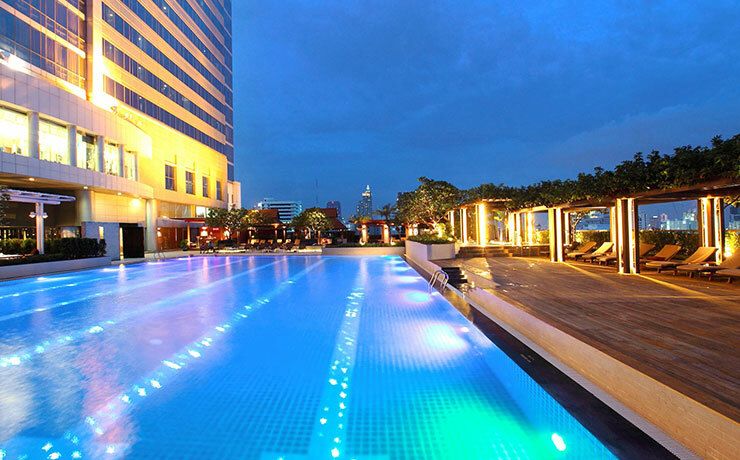 Also two hot & cold jacuzzi pools offer a breathtaking view of Bangkok, while lounging in comfort with exotic cocktails, only at the poolside of the Pathumwan Princess Hotel. The spa facilities area is 730 square metres split on 2 levels and also on the 8th floor. TANTARA HEALTH SPA is ready and at your service at Pathumwan Princess Hotel. Our spa programmes are designed to tune your body as you relax in one of the 15 spacious state of art treatment rooms, meditation room and doctor's room to find your physical needs. The private treatment rooms overlook a private garden and offer a meditation and doctor's room to find your physical needs. Our decor has been inspired by 14-16th century Thai Art to create a tranquil environment that will provide unforgettable nurishment to your soul. Kongju & Kayageum Korean Restaurants are open for lunch and dinner. - Kongju means ?Princess? in Korean. 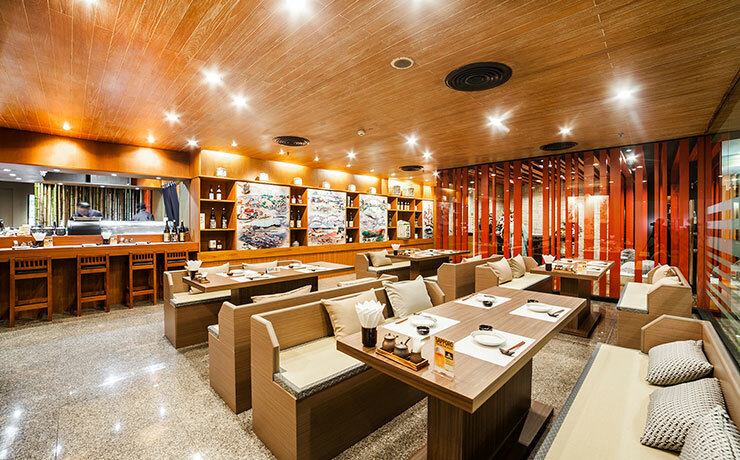 It's the Pathumwan Princess Hotel's pride and joy, having been tagged as Bangkok's best Korean restaurant. The decor in itself is simple, classy and comfortable. The ambience is friendly, clean and inviting. 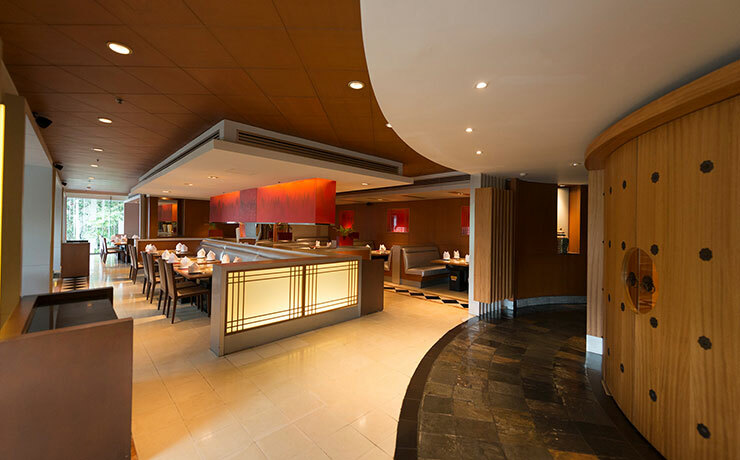 Connoisseurs may opt to dine in the main restaurant area or one of its private rooms, to sample some of our fifty Kim Chi varieties, specially recommended by Kongju's Restaurant Manager, Khun Hanna , as a prelude to other delicious Korean delicacies, including a tasty Korean barbecue. These are 2 restaurants located at the lobby. CiTi BiSTRo. All day dining with cutting edge cuisine. A modern, city centre restaurant for today's professionals whether at leisure or on business. Breakfast, Lunch and Dinner are available. 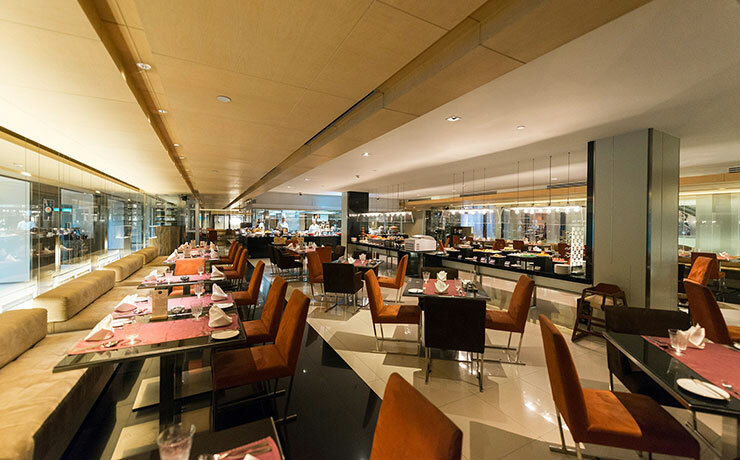 Three new menus for lunch and dinner includes a live kitchen buffet menu, an a la carte menu featuring European & Thai cuisine, and a kitchen concept menu which allows our chefs to exhibit, their skill through an innovative and creative fusion of world ingredients. A live kitchen and buffet in the centre of the restaurant are interactive and truly an artistic platform. A mix of contemporary chill out music creates a relaxing airy atmosphere. Flavours Indian Restaurant Step into our vibrant atmosphere of the warmth of India. Authentic food, drinks and decor embody what flavors is all about! Flavours Indian Restaurant offers a unique luncheon and dining experience for locals and visitors alike. t@Lobby. A meeting point where you can sample baked goods and pastries as well as freshly made to order sandwiches. A choice selection of coffee and tea is available as well as afternoon tea. Intelligent floor lighting allows mood changes. Enjoy our professional friendly service throughout the day, whether partaking of continental breakfast, mid-morning sticky cake and coffee, afternoon tea or simply a late evening snack. Exhibiting the best in artistic service. A cool selection of cocktails are prepared and served from a central, semi- circle bar. Chic European spirits and light soft jazz music set the mood. Colour panels capture projected light creating the artistic ambience at the STUDiO BAR. Thai tradition meets western fusion. These newly refurbished guest rooms offer a new definition of luxury while guests can enjoy extensive views of Bangkok's city centre. The hotel offers panoramic city view Superior and Deluxe rooms and 60 fully equipped ExecuPlus Suites and are great value for money. With 34 square metres (approximately 365 square feet), the new Superior rooms with a large bathroom separated by a large glass window, one of the enhanced features, adds a classy touch to the serenity of the rooms. The decor and colour schemes matched with magnificent dark wooden flooring contrast beautifully to give a feel of gracious luxury. 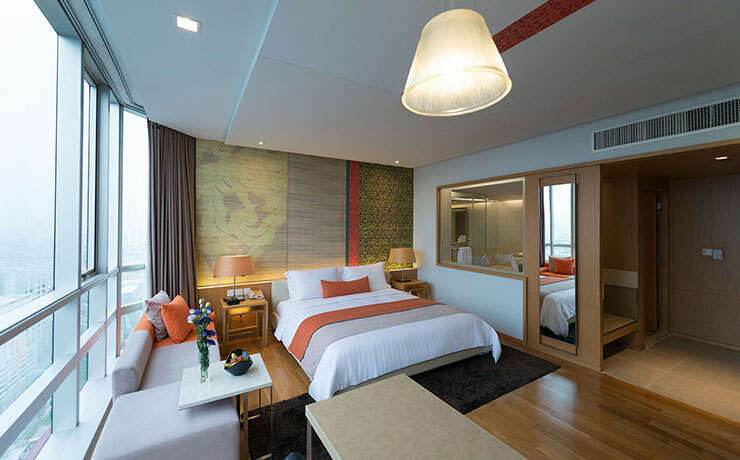 The new Deluxe Rooms are an oasis of luxury in a well-appointed 42 square metre area (approximately 452 square feet) where contemporary decor includes some typical artistically created Thai motifs matching the warm and cosy interior. Most of the Deluxe rooms are located at the end of the corridors and come with spacious private bathrooms with a separate shower and bath tub. Located between the 9th and 14th floor, our ExecuPlus Suites are highly popular with all of our guests. With 62 square metres of pure indulgence, these suites are really worth it: you don't even need to step out of your room when doing business. Each room is fitted with a desk, personal voicemail message facilities, high speed Internet connection for your laptop (at a charge), facilities for computer usage, DVD player and a full range of amenities one may expect from a suite room. INCLUSIONS: 2nd room for children at 50%. Maximum 2 children per additional room. Limit to one additional room only. Bangkok is a thriving, vibrant city that never sleeps. There's always a new sight to be seen, a new experience to be had or a new dish to try, and that's only the beginning. 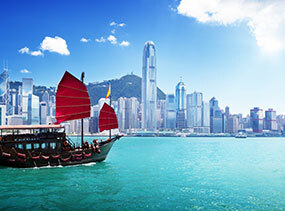 A cultural melting pot, it's a city full of fantastic sites such as temples, markets full of trinkets and treasures, street food stalls and shops selling everything you could imagine. With so much action going on around you, naturally you need some amazing accommodation to rest your weary head at the end of the day. Luckily, Bangkok's got it covered. From modern and contemporary hotels and resorts that offer sleek and sophisticated service and design, to more intimate and boutique accommodation, there are so many options within this city. Stay right in the heart of all the action where the buildings are tall and bright lights illuminate the city around the clock. But just because Bangkok's resorts are located in the city doesn't mean they don't provide the full monty of holiday experiences. From stylish and pristine swimming pools to utterly mouthwatering restaurants, not to mention sumptuous spa facilities offering treatments such as massages and facials, Bangkok's resorts won't leave you wanting for anything. Don't hesitate to get in touch with us so we can help hook you up with the perfect Bangkok accommodation. We know all the tricks of the trade. So take the plunge and immerse yourself in Bangkoks' slick city scene. 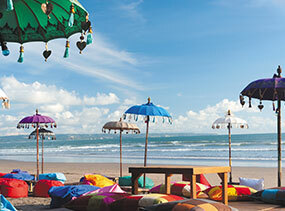 This beachside retreat can certainly offer you the special treatment. After all, it's famous for being a popular holiday spot for - drumroll please - the Thai royal family! 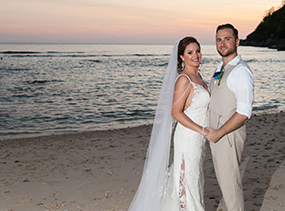 With such impressive guests, it can't be denied that Hua Hin offers some of the loveliest scenery and accommodation in the whole of Thailand. Even if you don't have any noble lineage yourself, that doesn't mean you won't be given the royal treatment at the resort of your choosing. In Hua Hin, everybody is treated as special, and the facilities are geared up to offer everything you could dream of in a holiday. With its mix of both modernity and old-worldly charm, you can enjoy both up-to-the-minute amenities and technology, while also appreciating the simpler things in life such as quaint buildings and stunning scenery. Take a stroll along the mile-long, golden-sand beach, play a game of golf, head out on a snorkeling adventure and explore the township - or hunker down at your resort by the pool if you'd prefer. Extremely active explorers will love discovering Hua Hin's range of nooks and crannies, such as waterfalls, caves, mountains and forest. There are plenty of hikes to enjoy that can take you to some of these beautiful spots - perfect for those bush walking types. If you need help planning your ultimate Thai getaway, we're here to help. 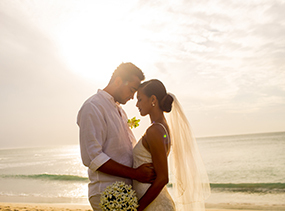 We can work with you to create an amazing holiday at Hua Hin, tailored for you and your needs. 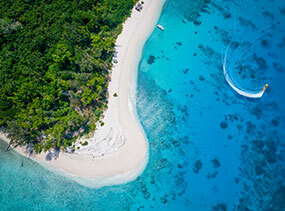 What could be better than a personalised vacation in paradise? It sure beats stay at home! Have you found yourself dreaming of soft pillows, stunning sunsets, balmy temperatures, crystal-clear oceans and a more relaxing pace of life? Well, that's what you get - and more - with a stay at a resort in Pattaya, Thailand. This dreamy escape is located on the country's eastern coastline, in the Gulf of Siam. It's just a short drive from Bangkok airport, making it an extremely convenient holiday destination - as if you needed any more convincing. Make yourself at home at one of the local resorts, which are renowned all over the country for their extremely hospitable service, and friendly and helpful attitude. You'll have a smile on your face constantly here, whether due to the delight of a buffet breakfast, the joy of plunging into a cool swimming pool or sipping on a fruity beverage - or even just because. How could anybody have a frown on their face in paradise? There's plenty to do in the town of Pattaya too. 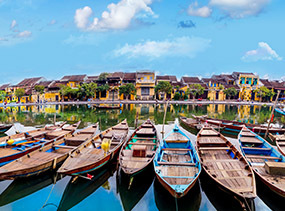 From fantastic shopping malls where great-value shops will tempt your budget, to the bustling markets selling all sorts of trinkets and food, you can spend hours wandering the streets and lanes. Pattaya livens up even more once the sun goes down, so head out to experience nightlife, Thailand style. 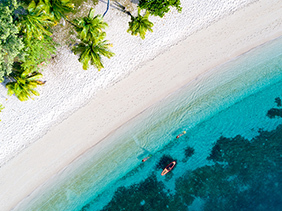 Of course, many travelers choose to spend their days lounging by the beach or the pool, swimming, snorkeling and gazing out at the stunning scenery, whether it be out to the horizon or into the lush jungle. The sheer variety of natural beauty here is bound to blow you away. Give us a bell if you'd like to find out more about a holiday at Pattaya - trust us, you'll have a truly spectacular time. Advertised price not valid during school holidays, Christmas and New Year. Prices are per person and include airport transfers from BKK airport and twin share accommodation. 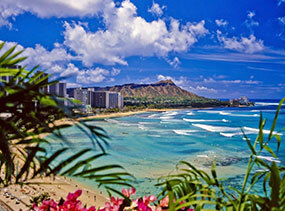 Prices are subject to change without notice due to currency, tax fluctuations & fuel surcharges. Package is land only and excludes airfares - please contact a Holiday Champion who can give you the best available fare for your dates. Prices shown are a guide only, please contact one of our specialist consultants for an exact quote on the dates you wish to travel & any conditions that may apply.